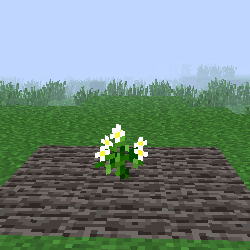 Potato seeds have a chance to drop from breaking down tall grass. 1-3 potatoes will drop from harvesting a fully mature crop. Harvesting an immature crop has a chance of dropping either Potatoes or Potato seeds, with the chance of Potatoes increasing with the maturity of the crop.